RMT members standing firm again today in continuing fight for safety on Northern and South Western Railway. RAIL UNION RMT said that members on both Northern and South Western Railway are standing firm again this morning in the on-going programme of strike action as both companies continue to refuse to engage in serious talks around the issue at the heart of both disputes – the safety of the travelling public and the guarantee of a guard on the train to deliver that safety along with security and access that should be the cornerstones of operating a modern railway. "It is scandalous that while other train operators have been prepared to engage seriously with RMT on the crucial issue of a guaranteed second safety-critical member of staff on their services ARN and SWR have dragged their heels and made a mockery of the talks process. "It's time for both these companies to get out of the bunker and start talking seriously and positively with the union on the issue of the guard guarantee instead of gambling with public safety as they pump up their profits. 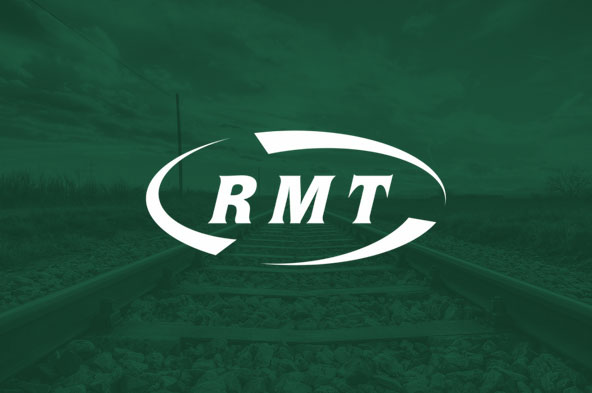 "With the most recent statistics showing that in the past ten years there has been a 47% increase in violent assaults and a 167% increase in sexual offences, RMT has made it clear that we will not allow safety, security and access on our railways to be compromised in the drive for private profit.